THE Swedish DJ, Remixer, Producer and Writer! The guy responsible for starting the massive Swedish Dance music export! Denniz PoP was born April 26, 1963. Most people don't know his real name, which was Dag Volle, since he mostly was working behind his alter ego and never wanted to stand in the spotlight himself. Many of us here in Stockholm, Sweden who have been DJ'ing and hanging around in the record stores remember him as "Dagge". Tragically he left us much too early in August 30, 1998 after less than a years struggle against his cancer. "Dagge" started his career as a DJ in the early 80's in the local youth recreation centre in Tullinge, a suburb of Stockholm, Sweden. He quickly became one of the most well-known DJ's in the Stockholm dance scene and he played in all the famous clubs and he was a great inspiration to many new DJ's and to some he was probably THE reason they wanted to become DJ's - they wanted to do all these great things he was doing. For example - another famous Swedish DJ - Robert Watz, one half of the successful Rob'n'Raz team who hit it worldwide together with Leila K with their dance tune "Got to get" in 1989, said this about "Dagge"; "When I and Rasmus Lindwall started out as DJ's HE was our inspiration, he was the best discjockey in Sweden!" In 1985, he - together with some of the other best DJ's in Stockholm - came up with the idea of creating a remix service like DMC (Disco Mix Club - UK) or the US Disconet and Hot Tracks. And in the beginning of 1986 - SweMix was founded by Denniz PoP, René Hedemyr (remixer of Roxette for example), StoneBridge (the guy behind the great "Love 4 love" by Robin S among many others), Emil Hellman (aka SoundFactory and remixed Army of Lovers, BWO and many others), Rob Below and JJ. Denniz PoP fast became one of Sweden's most wanted remixers. He always had this ear for how things should sound to be perfect and in his remixes he could put in a small sample of another record and it was just perfect but no one else would have come up with the idea. One of these great remixes was the remix he did of Soul II Soul's "Keep on movin'" in which he sampled the Donna Summer classic - "Love to love you, baby". The result is just amazingly BRILLIANT!!! Another excellent piece of work was the remix of Michael Jackson's "Billie Jean" in which he used time stretching. That's when you slow down the tempo of the song and then bring it back up to normal again but still keep it in key during the whole tempo change. This was also something completely new and no one had ever done that before in Sweden. Or... Check out the remix of Human League's classic "Don't you want me" in which Dagge changed the order of the man and girl's lines and created a kind of conversation between them. It's just soooo GREAT!!! Denniz also made famous medley's and megamixes. He made an Earth, Wind & Fire medley for Remixed Records which got bootlegged all over the world... Along with the work he did for SweMix/Remixed Records he also made famous DJ promotion only medleys for Swedish compilation albums like; Dance Explosion and Absolute Dance. SweMix fast became well-known and record labels and artists soon approached them with their songs and wanted these successful guys to remix their work. Many new artists also wanted them to have them produce their songs or give them a record deal. This new demand gave birth to the SweMix record label. Not very surprisingly the first record released on the new SweMix label (actually it still says Remixed Records on the label - BUT it was the first SweMix records release) was... Yes you're right, it WAS Denniz PoP with a tune called "Gimme some mo' (bass on me)". It's a kind of "sample-song", just like the popular Bomb the Bass song "Beat Dis" from 1987. In 1989 SweMix started to sign own artists and the company was divided into SweMix Records & Publishing and SweMix Productions. Acts like DaYeene, Kayo and Dr Alban were signed to the label and in 1990 Dr Alban's debut single "Hello Afrika" became a worldwide hit and leading the way and opening up the eyes for Swedish dance music. "Hello Africa" was produced by Denniz and thanks to that song both Dr Alban and Denniz PoP became famous all over the world. Dr Alban says; "We became famous together, thanks to 'Hello Africa'. Then we did three albums together. Dag was really determined and could take the right, fast decisions. He is the biggest producer ever in Sweden and Europe when it comes to dance music. Without any doubt!". Already in Dr Alban's song "No coke", which also generate from the first album, Alban sings/raps a tribute to his friend; "...he's a DJ / Producer of higher quality". And you should keep in mind that this was already in 1990, so I guess one can say that Dr Alban saw the potentials of Denniz PoP already back then. 1991 starts with SweMix selling off the Remixed Records DJ Service and concentrates on their artists and remixes. And in 1992 SweMix splits up even more when Denniz together with Tom Talomaa starts Cheiron, which is the new name for SweMix Records & Publishing. The other original SweMix founders keep SweMix Productions and continue as a production company. 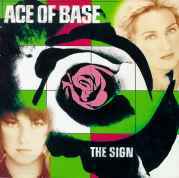 'Cause in 1993 he writes a song for a new Swedish band called Ace of Base's debut album; Happy nation. The song he writes is called "All that she wants" and this song becomes a hit all over the globe. For the worldwide release of the album some new tracks was added and the title of the album was changed to - the Sign. Actually the album sold over 22 million copies, which makes it the best selling debut album ever!!! Then in 1994 he writes and produces Dr Albans third album Look who's talking along with the debut albums of both E-Type and Leila K.. The next year he produces Robyn's debut album Robyn is here and E-Type's second album just to mention a few. In 1997 Denniz writes some of the songs to the Backstreet Boys' second album Backstreet's back and he also flies over to Los Angeles to work on Michael Jackson's nephews 3T's debut album Brotherhood. During the work with 3T he also gets the opportunity to work with Michael Jackson in the studio. Finally in 1998 he works with the new boy band Five and the girl group Solid Harmonie. He also works some more with Backstreet Boys and the new talented Swedish singer (and also Denniz' girlfriend) Jessica Folcker. At the time of Denniz death Jessica's first single "Tell me what you like" had started moving towards the top of the Swedish charts. Watch out for this lady who, before her career of her own, have been singing and dancing behind Dr Alban and Ace of Base, just to mention some. Jessica's second album out in 2001 is called Dino, a tribute and clear reference to Dagge. In March 2001, Swedish artist - Meja (who recorded the hit duet "Private emotion" with Ricky Martin in 2000) - released a new album entitled Realitales. On the album there's a song called "Land of make believe", a "forgotten" song written by Denniz PoP and Douglas Carr. In 1998 he also receives his first Grammy award (Swedish Music Industry Award) together with Max Martin. They get the jury's "Special Honor Award", for all their great work and successes which placed Swedish (Dance) music on the world map and have made Sweden the Third (!!!) largest music exporting country in the world, after the U.S. and the U.K. Unfortunately Dagge was now too ill by his cancer that he was unable to receive the award in person. But everyone agrees to the fact he was worth it, people said; "He was THE reason that the Swedish Dance music became such a big export." A friend of mine, who is a music journalist in the U.S., said this to me when he heard of Dag's death; "His hits have made US radio a lot more tolerable and we'll suffer without him.". So there's no doubt his music made a fuzz all over the world. There is no understatement to say that Denniz PoP was Sweden most successful and well-known producer. He had the Midas touch - everything he touched turned to gold. He WAS the force behind the huge Swedish dance music success worldwide and the acts he worked with always sold more than the average record sales. This is what Papa Dee had to say about Dagge's work; "He always heard what would work, what was catchy.". Other people have said the same, things like; "No one can deny the fact that Denniz Pop was a genius. No one could decide better than him what bass sound, mixing or chorus hooks that were needed to make a hit. He had the sharpest version of the record buyers ears." or "Denniz PoP just know what will work and what won't." and he has also been called things like "the brain behind DancePop" and "Pop-Genius". Denniz' friend and colleague, Max Martin said the following after his friend's death; "I have lost my best friend and it feels like the world has lost a genius." Even though he was one of the biggest names in the music business, not many people know about him at all... But that was the way he liked it. He never wanted to stand in the spotlight himself. He preferred just to know that on a Saturday night millions of people was dancing and partying to his songs. This shows how modest and generous he was. Or as E-Type says about his friend; "His thing was to give the artist a break, then he wanted to find a new artist and help him or her to break instead of producing a whole album - where the big money is!". As a tribute to his dear friend Martin "E-Type" Eriksson is recording a tribute song called " PoP preludium" which will be the last track on his forthcoming album. It was in December 1997 he got the information that he had cancer and he was operated just weeks later. He was quite well until July 1998 when he very fast got worse and sadly he passed away on Sunday August 30, 1998 at Karolinska Sjukhuset (Hospital). He is closest missed by his 11 years old son, his wife and family. BUT... He is also very missed by the whole Swedish record industry, the artists he worked with and fans all over the world. At his funeral on Friday September 11 1998, everybody was there to honor his memory... All members of Ace of Base, Dr Alban, Robyn, E-Type, Papa Dee, Leila K. and even the boy group Five who flew in from the U.S., along with representatives from all major Swedish record companies. During the ceremony Jenny Berggren of Ace of Base sang solo the hymn "Don't be afraid". In the Grammis Awards (Swedish Music Industry's - "Grammy award") held in Stockholm February 15, 1999 - The Industry honored Denniz PoP's memory with a very nice summary of his life and career. E-Type received an award for best Swedish Dance act and in his very short speech he thanked Denniz and said how much he really missed him! It very nice to hear how Max Martin keeps Dagge's memory and their special sound alive in worldwide hits like Britney Spears' "Baby one more time" and other hits by groups like the Backstreet Boys and N'Sync, among others. Britney also had the following dedication to Dagge in her album "...Baby one more time"; To Denniz PoP: Your memory lives on in the beautiful music you wrote for me. Thank you. During the 1999 MTV European Music Awards the same Britney Spears received several awards, for example she received the award for best song with "Baby one more time". Of course she thanked Max Martin, but she also dedicated that award to the loving memory of Denniz Pop. In the video of Backstreet Boys' "Show me the meaning of being lonely", the boys are singing about people they're missing and if you look at the destination of the bus - it says DENNIZ ST.. That's the guys' tribute to Denniz PoP. "I was on the Backstreet Boys' concert in Munich, Germany in June '99. Before they sang 'Show me the meaning of being lonely' they told the crowd about Denniz PoP's death, asked the people for thinking of Denniz and dedicated the song to him. It was a strange kind of feeling to know, many thousands of people were thinking about one person at the same moment. I know, it sounds very pathetic, but I really believed, Denniz was watching all of us at this moment." During 1999 Max Martin and crew were writing songs and producing for famous acts like Celine Dion and there were also plans on writing and producing for Tina Turner's new album, but that partnership never took place. In late August 2000, almost on the day - 2 years after Denniz' death, Max Martin announced that the world famous Cheiron studio will be closed down by the end of the year. He told about all the joy and great times they have experienced through the success of the studio - but also about the sorrow and how much they all miss its founder - Dag Volle. Max said; "Denniz PoP created the conditions for the enormous success we have had lately and we would like Cheiron to be remembered for that.". Even if the Cheiron story will come to an end, I'm sure we haven't heard the last of Dagge's nor Max Martin's music. Specially not since Max has received the US ASCAP's - Songwriter of the Year - Award, two years in a row. In December 31, 2000 Cheiron was closed down, but "the Cheiron people" haven't stopped working because of this... Max Martin, Rami and Alexandra keep up the work "as usual" in a new studio called Maratone Studios in 'Soder' in Stockholm. Max was also on the cover of Time Magazine in March 2001. The magazine refered to him as "the Hit Man". Per Magnusson, David Kreuger and Jorgen Elofsson have started Aside Productions. The rest of the guys will work on in the old Cheiron studios but under the name the Location. So, I'm sure we'll get to hear more from all of these talented writers and producers, who keeps the beats and memory of Denniz alive. In 2013 the Denniz PoP Awards was founded and it's run by former Cheiron members, co-workers, friends and family with the goal of helping new songwriters, producers and artists continue the legacy Denniz Pop once started. Every year the Award is given to aspiring talents in the music industry. "Denniz Pop : Sweden has during the past 25 years positioned itself as the world's leading country for pop music along with the US and Britain . A large part of this development can be traced to one single person: Dag "Denniz Pop" Volle (1963-1998) from Botkyrka Municipality. Denniz Pop was a record store clerk and disc jockey who transfered his youths intensive music listening (what makes certain songs catch?) and dance floor studies in the field (what makes people dance?) to, without playing any instrument, start creating his own music with the help of initially record players and then computers. Dennis Pop created a new way to make music. A non - hierarchical teamwork with different specialists called in. An operation method that changed and shaped today's international pop music. One of Denniz Pop proteges, Martin "Max Martin" Sandberg, became the most successful pop-maker in the world since Paul McCartney and John Lennon. Everywhere on the radio today, echoes are heard of Denniz Pop." This was how Dag Volle from Stockholm, Sweden became Denniz PoP with the whole world. Even though he died much too early at the young age of 35, he was already the biggest guy within the Swedish dance music scene. Your memory will live forever!